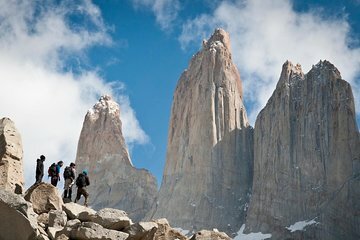 Enjoy a day away from the city and explore an example of Chile’s iconic landscape on a hiking tour of Torres del Paine National Park from Puerto Natales. Admire panoramic views of the region as you ascend montane trails, and avoid hidden costs with lunch, equipment, and round-trip transfer from your hotel included. Keep safe on an active excursion with supervision, insights, and pre-tour briefing provided by a professional guide.